It must be the season for moving! Or maybe people now know me as the girl who moves around a lot. I get it, believe me, I’ve felt like a gypsy over the last year or so. But I’ve recently gotten an influx of questions on Instagram about moving to Chicago, finding apartments in the city, picking a neighborhood, etc. I’ve actually been in my same apartment in the Gold Coast since I moved to Chicago from New York City… It will be four years this summer! 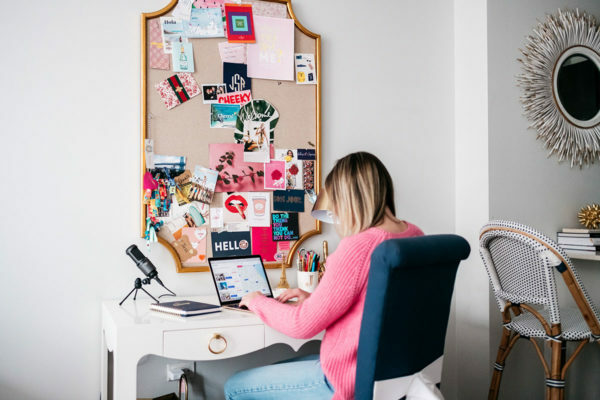 As you probably know, this past year was a little all over the place with my living situation… I had subletters take over my lease, I was staying with family and friends, and then I lived throughout Latin America for four months with Remote Year. It was unplanned and totally unexpected, but I’m now back in my old apartment, the same one before I left, and so happy to be back in my home and back in my ‘hood. When I moved from New York to Chicago (you can read more about that here! ), I did not take choosing a neighborhood lightly. I wanted somewhere that was totally walkable, as I didn’t have a car when I moved here, and I wanted it to feel a little bit like NYC in that regard. If you follow me on Instagram Stories, you know I’m always out and about walking around. My feet are almost always my preferred mode of transportation! And if I would need to take public transportation, I wanted it to be relatively easy. I absolutely loved my neighborhood in NYC… I had so many cute coffee shops, stores, and great restaurants nearby. And I wanted my Chicago neighborhood to be the same! As for an apartment, I really just wanted closet space and package receiving, that’s it. Again, if you followed me when I lived in NYC, you know my standards were quite low when moving here to Chicago, haha. That’s why I chose the Gold Coast in Chicago! It may not be the best neighborhood for everyone, as I think that’s such a personal decision that depends on your lifestyle and preferences, but it’s the best for me right now. I’ve laughed out loud lately when I’ve gotten questions on Instagram like, “I’m moving to Chicago! What neighborhood should I move to? !” Because that’s pretty hard for a stranger to answer without some additional info, haha. Chicago neighborhoods can be quite different, but I figured I’d share a bit more about why I love this little pocket of the city so, so much. What was a total accident, though, was my proximity to the lake! Being close to the water wasn’t on my radar at all when I moved here. In New York, sure, I wasn’t far from the East River, but I rarely took advantage of that. (Or maybe there just wasn’t much to take advantage of…) But now, after living just a few blocks from Oak Street Beach and Chicago’s lakefront path, I can’t imagine not living so close to the water. Since I work from home most days, I try to carve out some time in my schedule to get outside everyday when the weather allows. Walking along the lake is my me-time and my happy place… it’s easily my favorite part of living in this neighborhood! In fact, I’ve looked at other neighborhoods, but I simply can’t imagine moving farther west. Before I found out I was going to be able to move back into my apartment at the end of January after I got back from Remote Year, I was majorly on the apartment hunt. And ugh, that process can be oh-so-daunting if you don’t know where to look! But once I found out about Zumper, my search was so much easier. Zumper has exclusive listings, you can search by features and amenities, create listing alerts, and even use the Zumper Book Now feature in Chicago to generate an application right from the app or website to streamline the renting process. 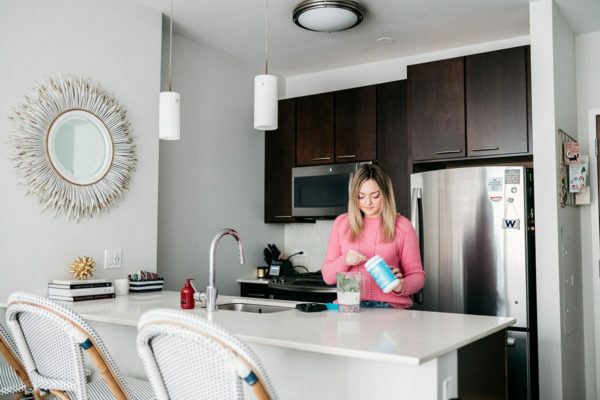 Plus, if you need a little extra help, Zumper Select allows you to chat with an expert in the area to help you find options that suit your needs, helps to schedule your visits, and can even give you moving advice. 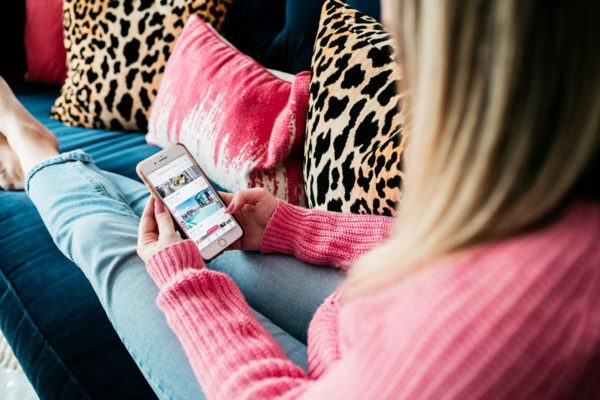 The platform seriously feels like Instagram for apartment hunting! I was not at all shocked to find my current apartment building on the app, as it really does have the best-of-the-best listings from around the city. 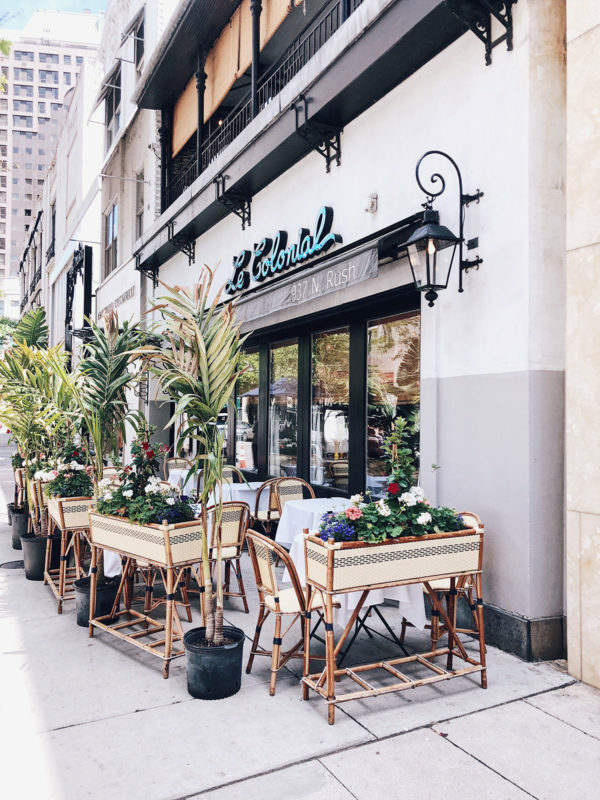 If I haven’t already convinced you that the Gold Coast is the best coast (haha sorry, you know I love a good #dadjoke), here are all of my favorite spots in the neighborhood! No matter if you’re visiting or a Chicago native, this list is the best of the best in the area. 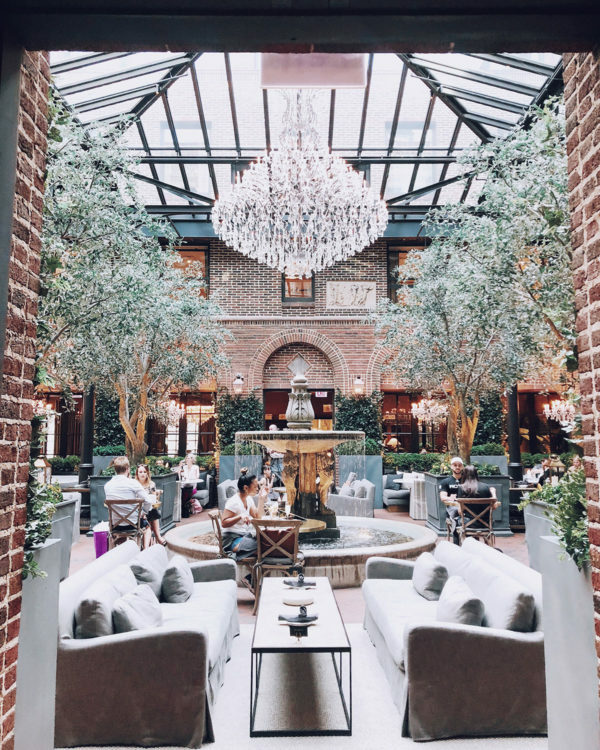 3 Arts Café at Restoration Hardware – The most stunning backdrop for coffee and chocolate chip cookies. Cafecito – A Cuban café that my friend Kate turned me onto! Dollop – A little bit off the beaten path, but it’s a hidden gem in the neighborhood. La Colombe – Oatmilk Draft Black & Tan with an Extra Shot, please. 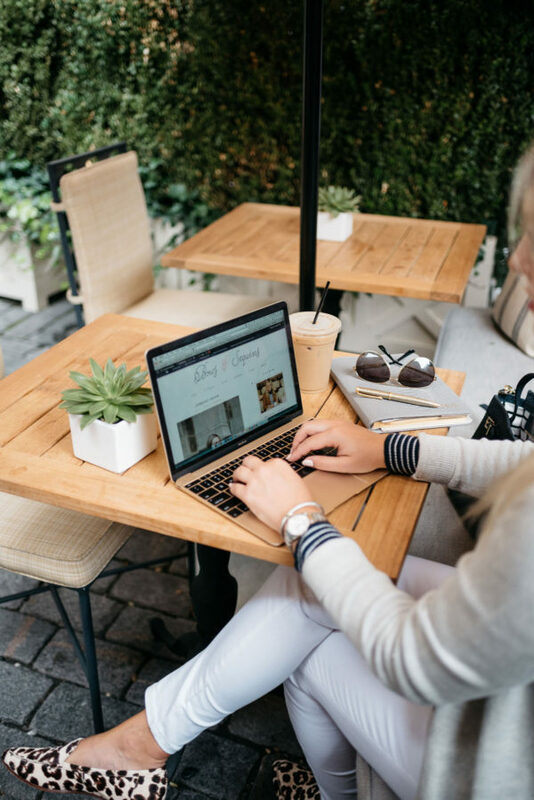 Petite Margaux – Inside the gorgeous Waldorf Hotel, grab an Iced Vanilla Latte and snag one of their outdoor tables to get some work done. Or if you’re there for Happy Hour, take advantage of their rosé special. Somerset at the Viceroy – The décor alone is Insta-worthy, but the food and drinks are both delicious, too. Original Pancake House – For something that’s a bit more of a hole in the wall, pop on in to this neighborhood classic. Hugo’s – One of my favorite things to do on a Thursday or Friday night is grab a burger and a dirty martini at the bar at Hugo’s! Definitely get the blue-cheese stuffed olives in your martini. Maple & Ash – It can be a little scene-y, but if you’re looking for a fancy dinner in the ‘hood, you can’t beat Maple & Ash. Every out of town visitor I’ve taken has loved it! And if it’s nice out, try to grab a table at their coveted outdoor patio for something a little more casual. 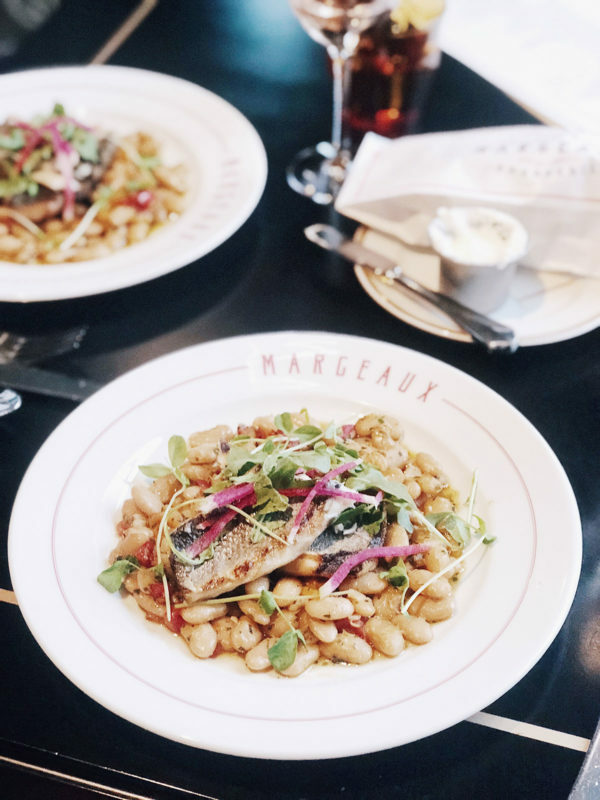 Margeaux – This French brasserie at the Waldorf will have you feeling like you’ve taken a flight to Paris! Le Colonial – Another neighborhood classic! Le Colonial has always been a staple on Rush Street, but they actually just moved around the corner to Oak Street. I haven’t been to the new location yet, but I’ve heard good things! Velvet Taco – THE. BEST. TACOS. Trust! And they’re open until the wee hours of the morning if you’re feeling hungry after midnight. Goddess & Grocer – So many great salads, wraps, sandwiches, and a good selection of grab-and-go snacks, too! 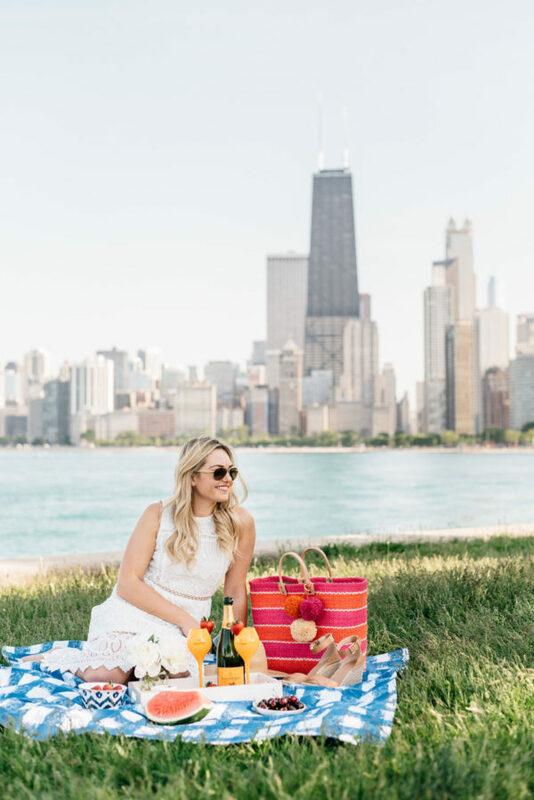 If you’re heading out to Oak Street Beach, grab your picnic provisions here. Drum Bar – Another hidden gem in the neighborhood! This is one of my favorite spots to take dates. Inside is great, but there’s an outdoor rooftop, too. Gibson’s Patio – Great for people watching and notably one of the best patios in the neighborhood! If you can’t get a table, try to grab one outside at Tavern on Rush instead. Deveraux Rooptop at the Viceroy – It can get pretty lively during the day on a summer weekend, but it’s a great spot for happy hour, too. If you’re in the mood for some tremendous people watching, take a seat in Mariano Park! It’s basically the central hub of the Gold Coast, and notoriously used to be called “The Viagra Triangle,” haha. And if you’re there in the summer, there’s a gelato stand to cool down! Grab a bite from one of the ‘Quick Bites’ above and sit alfresco and enjoy the scenery. And if you’re in the mood to shop, we’ve got it all. Cruise down Oak Street and there’s about every luxury brand you can imagine. 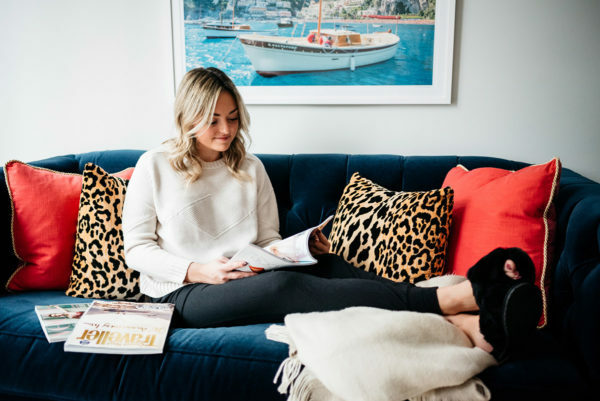 And on Rush, you’ve got Vineyard Vines, Madewell, Aritzia, Intermix, Lululemon, and more. BlueMercury on State is also a must! It’s where I do damage with all of my skincare needs. There’s a small outpost of The Ruby Room on Delaware for all of your crystal and sage needs. Marcus is a really cute boutique right next door, too! There’s also a Barnes & Noble, Warby Parker, and an Away flagship on State. And if you’re still not done, swing by the 900 Shops! Hope you enjoyed this tour around my ‘hood! Happy to answer any and all of your questions about the area, leave them in the comments below. This blog post was sponsored by Zumper. Wow, it is unbelievable you live already that long time there! Thanks for sharing all the amazing insider knowledge. I’ve always wanted to visit Chicago, it seems like such a beautiful place! I’m glad you’re happy in your apartment, it can be so hard to find a place to call home. Love this post!! You are killing it with content lately. I’ve been listening to Along for the Ride, and while I know last year had its ups and downs for you, I can totally see a refreshed person in your posts! Love the shout out to Mariano Park–my fiance proposed to me there in January (followed by brunch at the Somerset) and I always joke we got engaged in the center of the Viagra Triangle! We’re excited for an excuse to go enjoy gelato in the park all summer! 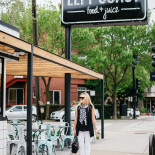 So fun to see some local spots highlighted in a blog post! Love love love the Gold Coast! I lived here for 4 years as well, before moving to Michigan. So much has changed since I left, we’re actually headed to the city tomorrow and I can’t wait to check out my old favorites along with some of the newer places you recommended. Thanks for the great summary! One of my pet peeves is bloggers who move to Chicago and write as if they know all about it. It’s painfully obvious to those (like moi) who’ve lived here our whole lives that the person is a transplant and doesn’t speak to ‘real’ locals. You however.. are NOT one of those bloggers! Yours is the first blog by a transplant that feels and sounds like Chicago. Like you actually know what you’re talking about. Looking forward to reading more.